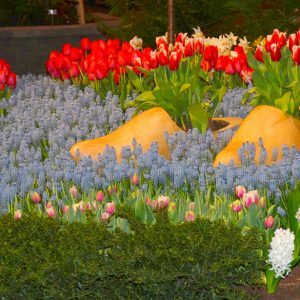 In this newsletter, we are going to feature some plants that most of you do not have in your gardens and plants which are largely misunderstood, but plants which are easy to grow and will grow in most of the American hardiness zones. Each year you should try to grow something in your garden that you have never grown before. Some of these experiments will pleasantly surprise you; some will be disappointments. 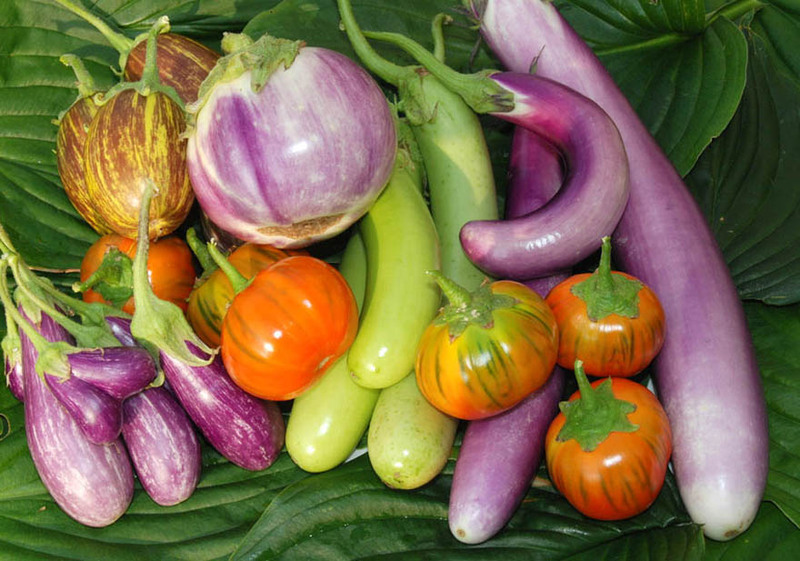 Given the sophistication of the people who routinely read this newsletter, I am sure that some of these seed varieties have been familiar, but I suspect that at least one or two of you will not have grown, and maybe they can be this year’s ‘experiment’. 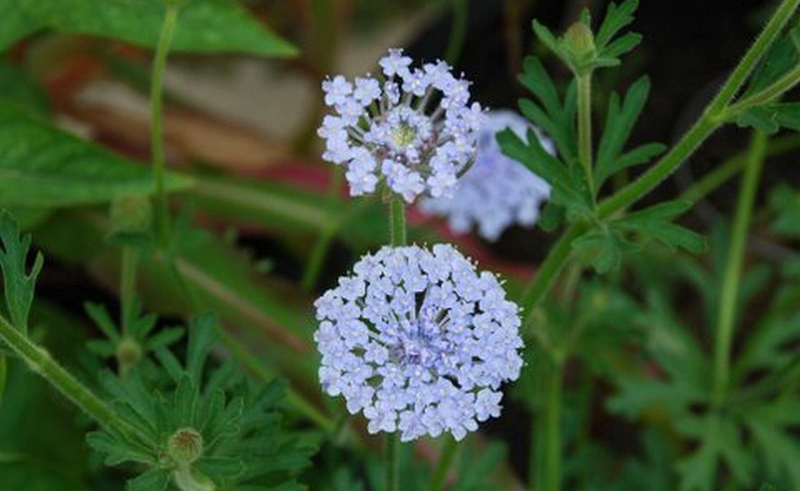 The Blue Lace Flower is one of the most remarkable flowers I have ever encountered. From the feathery foliage in late July or early August, emerge 1-2 inch in diameter blue flowers that look exactly like blue Queen Anne’s Lace. Deer do not like it. It grows well in a container. 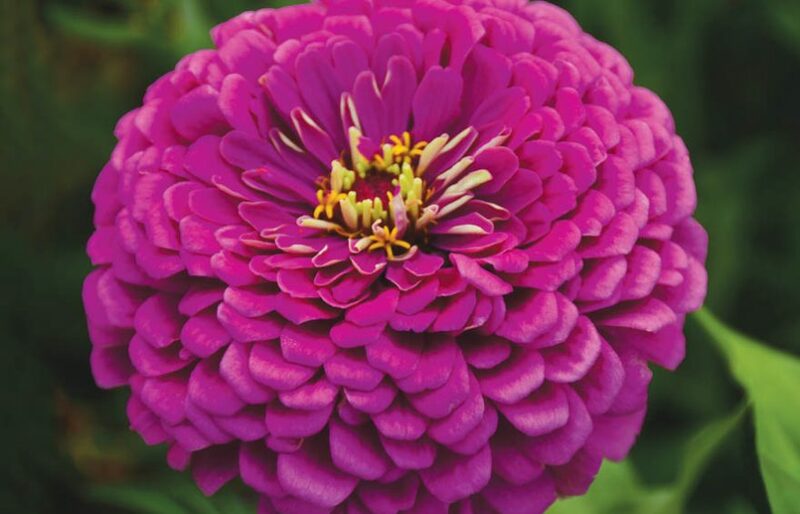 It is drought resistant and it is not fussy about the soil in which it is grown. Its most remarkable characteristic, though, is that when you cut its flowers  they will last for at least three weeks in a water-filled vase. 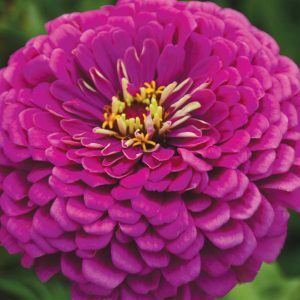 This flower was a staple of the American cottage garden until the 1950s when it abruptly disappeared from American gardens because it did not transplant well and so could not be grown in flats. It will continuously bloom for you until late in the fall when only a very hard frost will end its life. Perhaps now, with the resurgence of interest in growing from seed, this delightful flower will once again find its place in the gardensand hearts of Americans. like a skinnyparsnip, with creamy white skin and white flesh. Salsify originated in the Mediterranean regions of Southern Europe. 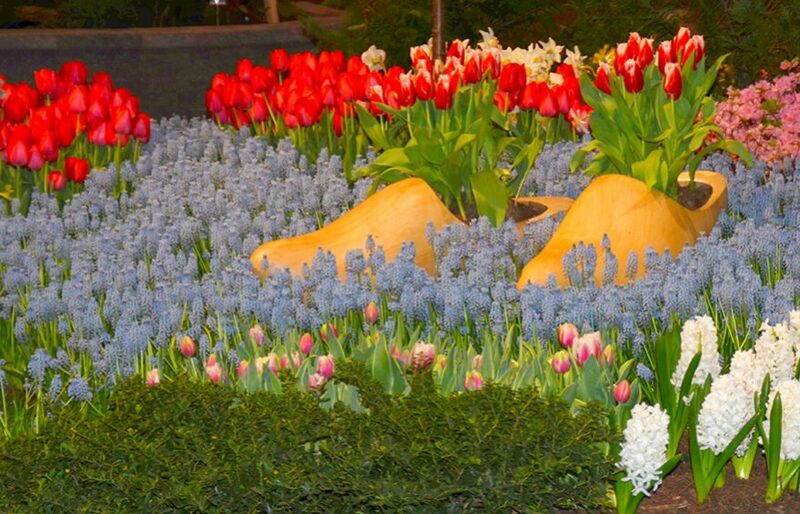 It is a biennial, but its roots can be harvested in the first year. Unlike carrots and parsnips, it does not store well out of the ground, so it is rarely available for sale in stores or farmers markets. The best way to keep salsify is to leave it in the ground until you wish to cook with it. It is very hardy and with a little mulching lasts through the winter. Throughout the winter it can be harvested and used in soups, stews and gravies. Mammoth Sandwich Island salsify is a very old variety that was available in the US prior to 1860. This variety takes 120-150 days to mature. 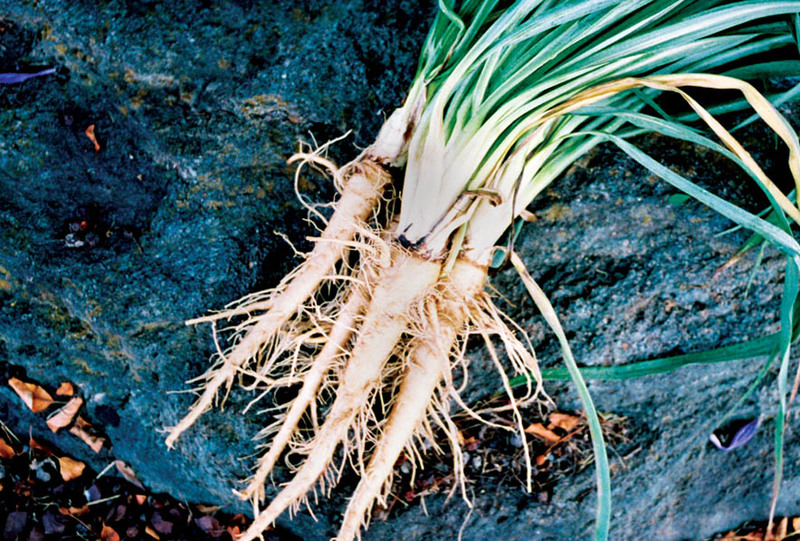 The slender roots are 8-9 inches long and creamy white. Both the flavor and the texture are enhanced if the roots are harvested after being exposed to hard frosts. Rutabagas are a rarity for most Americans. This vegetable looks like a giant turnip, and some horticultural scientists believe that rutabagas are a natural cross between turnips and a European wild cabbage. Rutabagas are extremely hardy and are known to thrive in the harsh winters of northern Europe and Russia, so it is very possible that in these areas, naturally occurring, spontaneous crosses between turnips and wild cabbage could have occurred. There are two kinds of rutabagas: yellow fleshed and white fleshed. The yellow flesh rutabagas are usually somewhat woody, tough and bland tasting. The white fleshed rutabagas are tender and sweet. Rutabagas taste best when exposed to several frosts before harvesting. They can be left in the ground throughout the winter and, if mulched can be harvested directly when needed. They can be prepared by boiling, mashing, pureeing and roasting. They area welcome addition to soups and stews. In Hardiness Zones 3-4, rutabagas must be harvested in late fall. 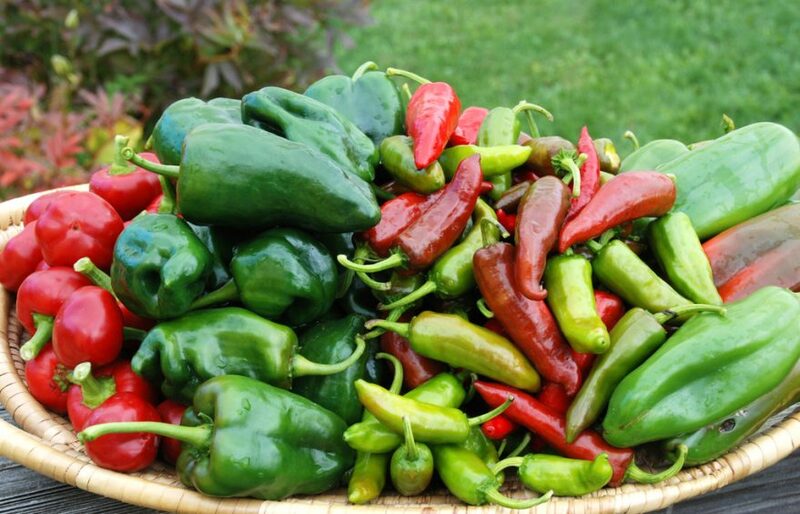 They can be stored in a root cellar or in boxes of moist sand. Laurentian is a very old variety that has been grown in the US since the early 1800s, possibly earlier. 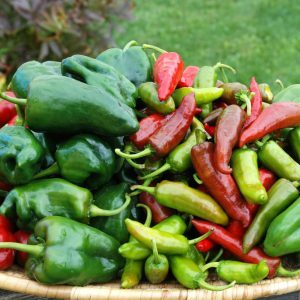 This is a vigorous, easy to grow, flavorful vegetable –one that each of you should try to grow at least once in your gardening career. Basil has been a part of the American diet since the first colonists, but it was the sweet basils, Italian and Genovese, that were known to Americans. Thai Basil is a 20th century introduction to the American diet and it is often confused with its close cousin, Cinnamon Basil, because they resemble each other. Thai Basil is native to the Indian subcontinent and is a common ingredient in the Asian cuisine from that part of the world. Thai Basil has burgundy colored stems and small pointed leaves. The leaves have a much stronger flavor than the Italian basils and a hint of anise. They can be used the same way as the Italian basils, but in much smaller quantities and there will be that hint of anise. 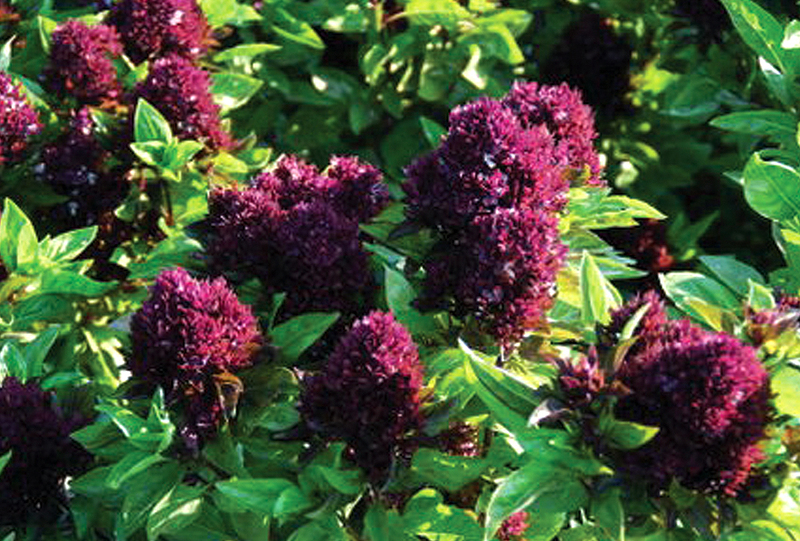 When in bloom, Thai Basil produces clumps of deep purple flowers, reminiscent of lilac blooms. The flowers have the same flavor as the leaves and can also be used in cooking. I find the flowers breathtaking and believe that Thai Basil should be a part of every garden even if it is only used as an ornamental. This is one of the oddest and least well-known members of the Cabbage Family and, interestingly enough, one of the newest. There is no mention of kohlrabi before the 1500s. 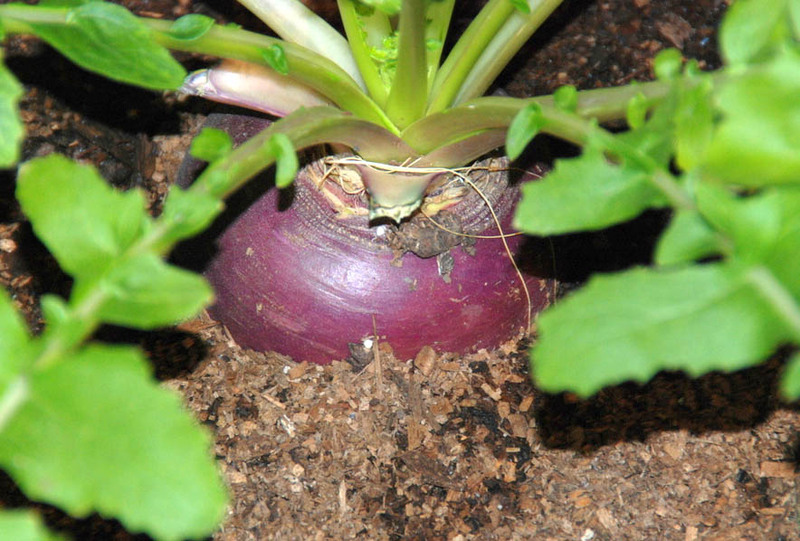 Old American seed catalogs began to describe it as “turnip-rooted cabbage” in the 1850s. 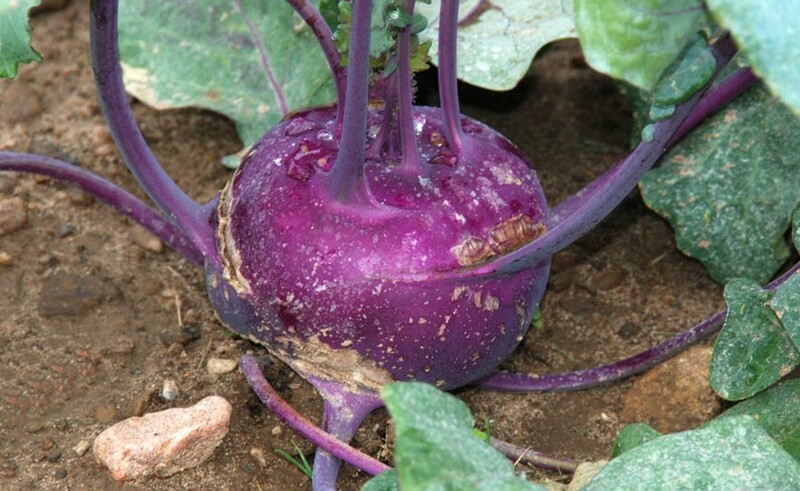 There were always three kinds of kohlrabi – a green rooted, a white rooted and a purple rooted variety. Over the centuries very little development work has been done on this vegetable so both Purple Vienna and White Vienna are much the same as they were 500 years ago. The vegetable looks like it is straight out of some science fiction movie. The bulbs’ which mature on top of the soil or only partially buried, have tentacle-like stems protruding from the surface and look like they were abandoned by the very same Martians that died in War of the Worlds. Kohlrabi is best harvested young. For Purple Vienna this means at 50-55 days. The root can be eaten raw or lightly steamed or sautéed. It has a crisp, sweet flavor. 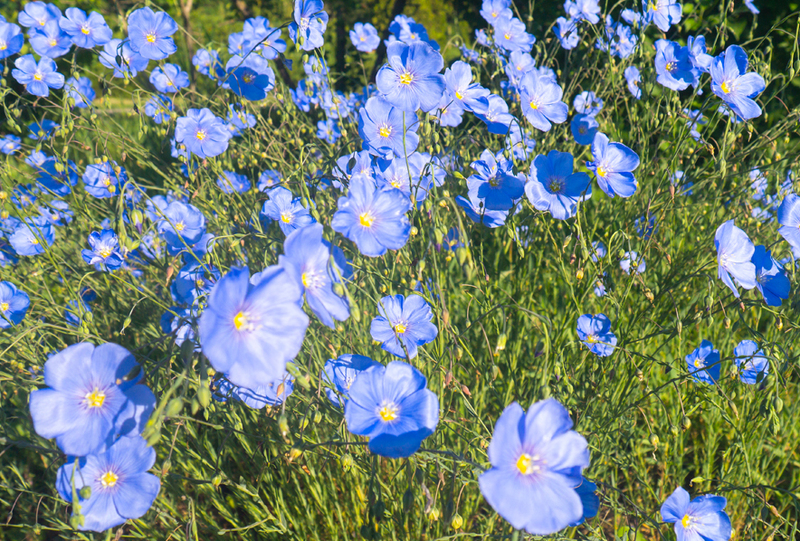 Most 21st century American gardeners think of Blue Flax as a flower, but it is actually one of the most ancient herbs known to mankind. Before the time of recorded history, the Swiss Lake Dwellers, the oldest European culture for whom remains exist, used the strong fibers of the flax plant, and the Egyptians held flax in high regard weaving linen material from the strong fibers in which to wrap their mummies. The Bible speaks of the flax plant’s fibers and Jesus, Himself, wore linen made from flax as He lay in His tomb. The medieval herbalist Bartholomew described the making of linen from flax stating that the flax was soaked in water, dried in the sun, bound in bundles and then knocked, beaten, braided, rodded, knotted, ribbed, heckled and at last spun. He said it was used for clothing, sails, fish nets, threads, ropes, strings, measuring lines, bedsheets, bags and purses. In the 1600s, 1700s and early 1800s, flax was one of the primary sources of fabric for American clothing. The flax was woven into homemade linen and linsey-woolsey. Today flax remains a major farm crop in Russia, Canada and the Northern Plains states. In America it is almost exclusively grown for linseed oil and its fibers are utilized in the making of fine paper. As many of you know, flax seed is incredibly nutritious containing Omega-3s. What you may not know is that flax seed, centuries ago, was used as a hair mousse. The seeds were soaked in water until they formed a thick, mousse-like consistency. This mousse was then applied to hair. Once the mousse dried, it was combed out of the hair leaving a smooth, glistening hair style. Most home gardens are not large enough to grow flax for its seeds or its fibers, but the plant can be grown for its ornamental attributes. It is a beautiful, small, flowering bush with the bluest of blue flowers. If you want history in your garden as well as beauty, the flax plant would be a good choice. 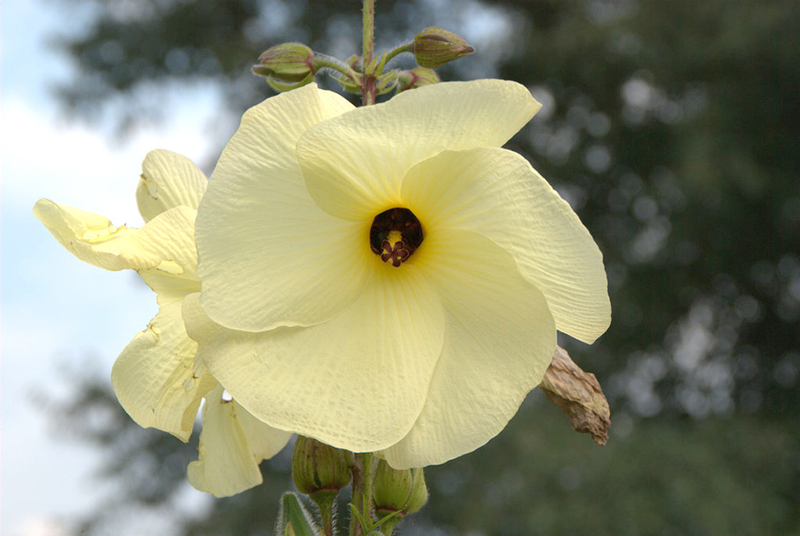 Burgundy Okra makes an outstanding edible ornamental – the blossoms are a striking lemon yellow with a burgundy throat as you can see in the photo below. The pods, when picked young, have a good flavor and hold their color when cooked. When dried, the pods break apart at the seams and twist into a fantasy of curls, contortions and curves. They are unforgettable in a bouquet of dried flowers. It is believed that okra originated in northeast Africa where, to this day, wild plants can be found growing along the banks of the White Nile, but the name, okra, comes from West Africa from the Ashanti word, nkruma. The forefathers of today’s African Americans brought okra with them to North America more than 300 years ago. It was traditionally used as a thickener for stews and soups, but it can also be batter-fried, stir fried and pickled. 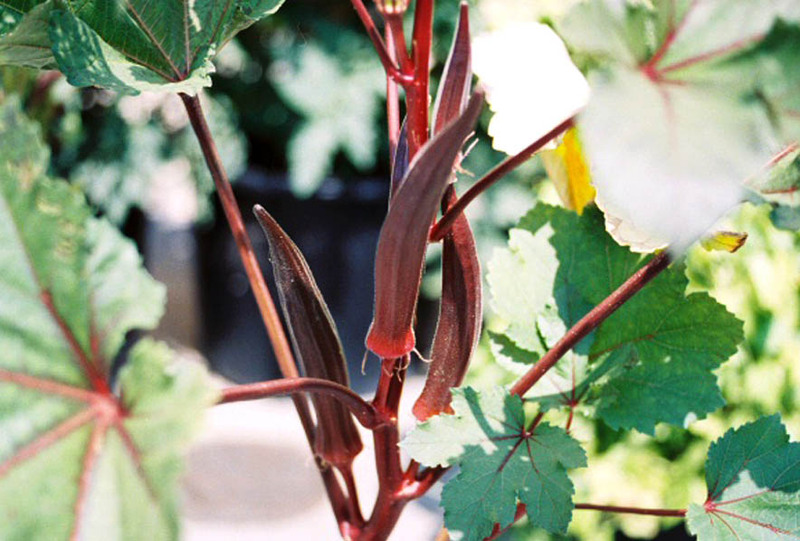 Burgundy Okra makes an excellent container (2 plants to a 14 inch diameter pot) plant. Throughout its lifecycle it is fascinating to observe. It can grow to five feet as a stately shrub. It will produce the striking yellow flowers discussed earlier. The fruit and stems are a beautiful shade of burgundy, and from the final chapter of its life, you can feast on the fruit and design the dried pods into beautiful floral arrangements. What more could you ask from a plant? Growing mustard presents a unique learning experience for children. Children and, for that matter most adults, need to be taught the importance of thinning – removing enough seedlings so that the spacing between plants allows the plants to develop in a healthy way. Growing Green Wave Mustard is an opportunity to demonstrate the benefits of thinning. When the seedlings are 2 inches tall, they should be thinned leaving 12 inches between plants. Instead of discarding the “thinnings”, use them as a condiment on top of a salad or soup. They are delicious. 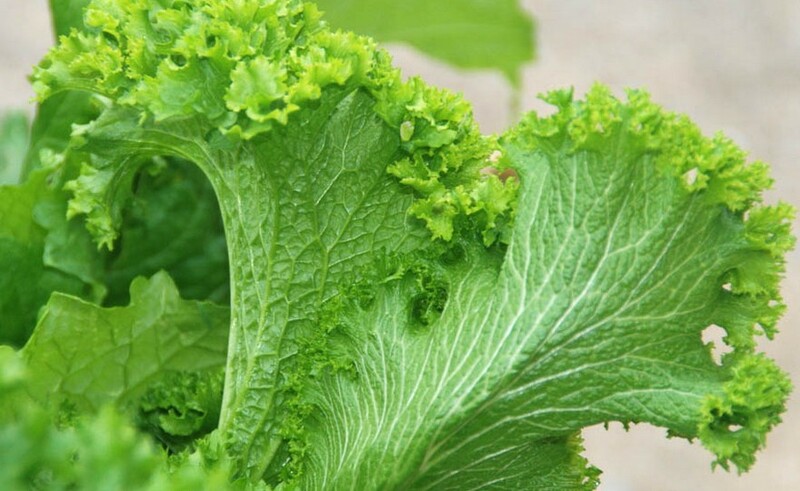 Green Wave is also one of the many plants that can be grown as an edible ornamental. Teaching children that they can use edible plants in their ornamental gardens is a great way to inspire a love of gardening. Green Wave is a fairly new heirloom. 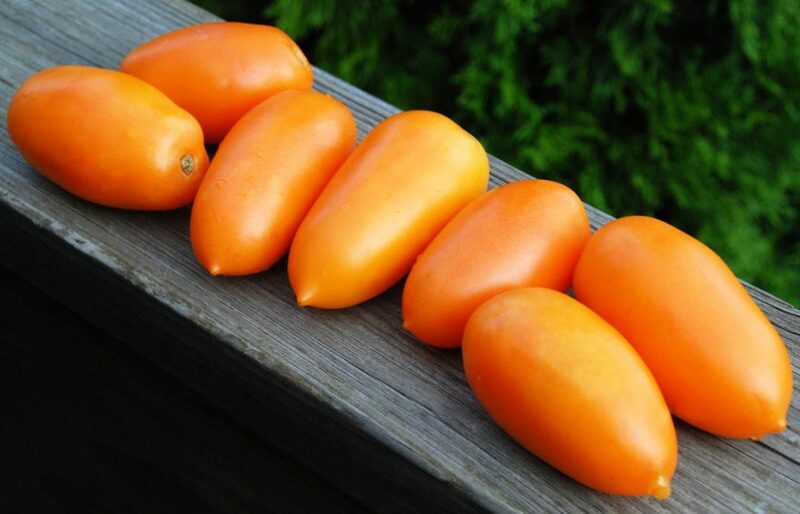 It was introduced in 1957 and so in 2007 it officially became an heirloom variety. Each year at the Harvesting History Heirloom Plant Sale which takes place in May on the weekend after Mother’s Day, we have a mustard tasting, and we ask people to vote on which mustard they like the most. They are sampling baby mustard greens and each year, the hands-down winner is Green Wave. The young sprouts have a slightly horseradish flavor – very distinctive and delicious. Mustard can be eaten as a micro green, as baby mustard – the thinnings from the garden, and as a mature plant. As a mature plant it is usually cooked. Mustards were an important part of the colonial American diet probably because they are so cold tolerant that they can be grown throughout the winter, with some mulching, in Zone 6 and higher. Green Wave grows very well in a container (4 plants to an 18 inch diameterpot) and is one of the showiest edible ornamentals you will ever grow. It is called Green Wave because the mature plant’s leaves arch elegantly backward like the cresting of an ocean wave, and the dense curling at the edges of these leaves is reminiscent of the froth which boils up just as the wave is about to crash. 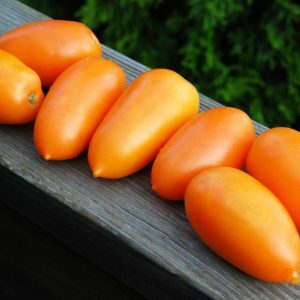 This is a gorgeous, delicious and historic plant.